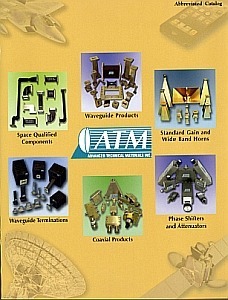 Every year ATM publishes a short form catalog featuring a variety of items ranging from our standard components, additional models of standard products, and new innovative product designs. ATM’s current short form catalog is in .PDF format, click on the links below or click here to view the whole catalog. Individual pages from our catalog may be viewed below. If you need custom components, or items not listed on these pages, please email us or call one of our engineers directly at 631-289-0363. Please Note: You will need Adobe Acrobat reader to view these PDF Catalog Page Files. To download it, click the "Get Adobe Reader" button.